SS 304 16 gauge Top Provide with Two 1/1 GN Pan with transparent polycarbonate covers. Top secured to TIG welded 35x35x5mm thick S.S Angle Framework. 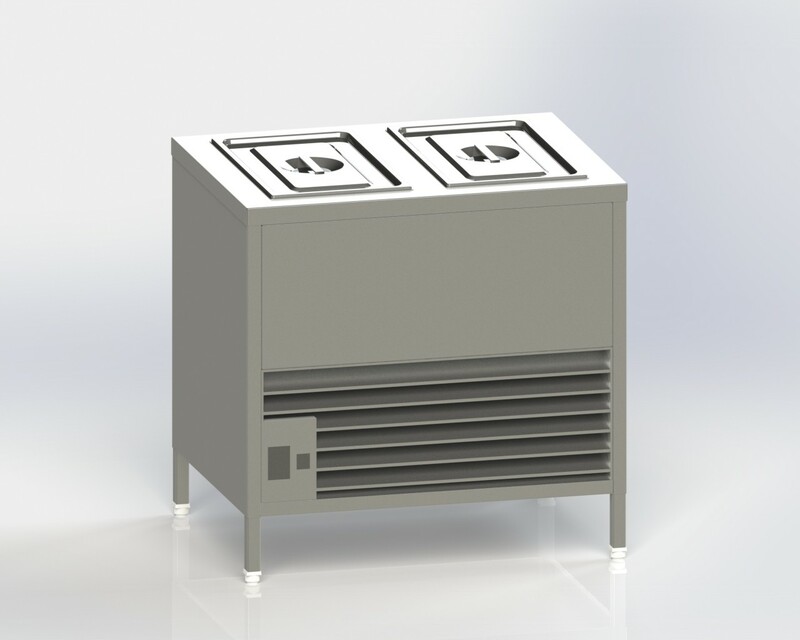 SS 304 18 gauge Trough with Insulation for cold Bain Marie. Pan Temperature 5 to 8 degree centigrade. 18 Gauge SS -304 Side covering with under side insulation. Considering unit with sealed Compressor make from Kirloskar/Pop land and Backside provide digital temperature control unit and suitable thermostat. Unit System has frost free refrigeration by force draft ventilation technology and ecofriendly refrigerant R034A & E404A.